Hi friends! It's Sunday and you know what that means. My random ramblings!! You've been waiting all week, haven't you? ;) Don't forget to link up your post full of randomness below. I'm all kinds of sad that my friends are leaving for Vegas without me. It was such a fun trip last year. So if you're going to Vegas for the Kindergarten conference, have fun, but not too much fun without me. I'm so going to miss these chicks! Have y'all tried these? I love them! They are like writing with lipstick. 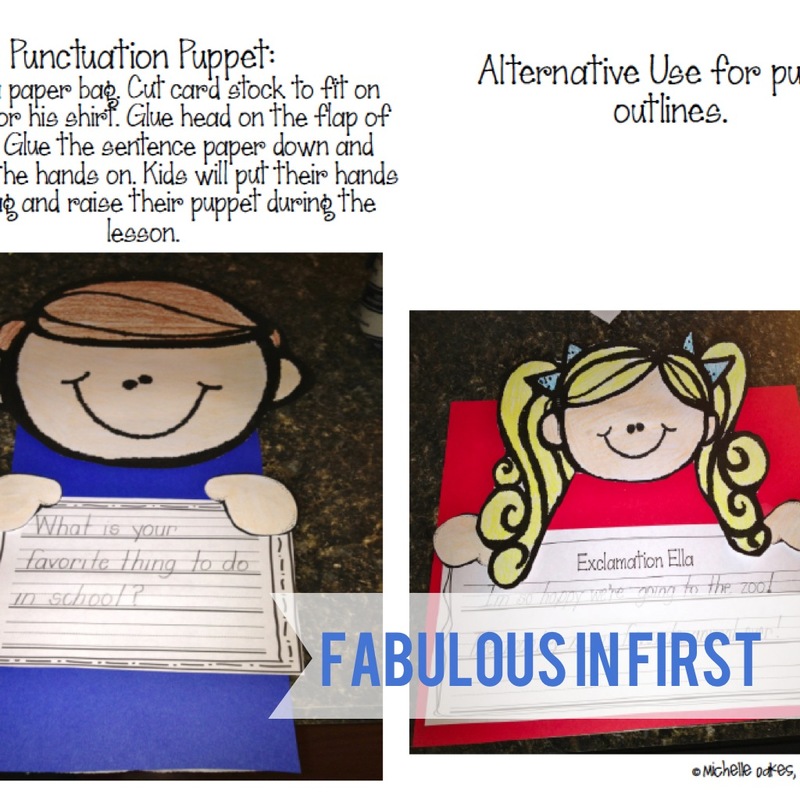 They are great for anchor charts. EXCITED!! This was just too cute not to share. I found it at Yellow Bliss Road. Tonight my sweet boys are having a campout. Daddy built a fire, we had S'mores and they are sleeping in a tent. This momma is going to be sleeping in her comfy bed. 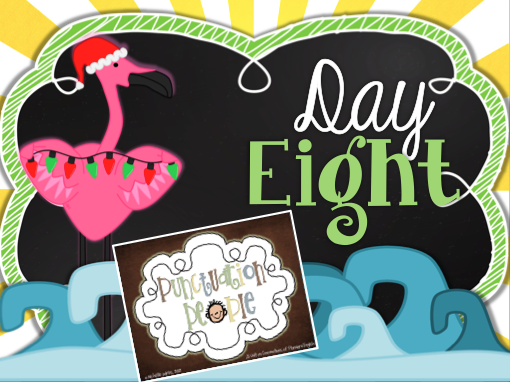 Today is the Eighth Day of Christmas in July. Today I'm putting one of my best sellers on sale. It's 20% off. When the common core came out they decided to include commas and understanding how to use them. I love thinking of ways to have my kids remember difficult information. So I came up with the Punctuation People. Before I would teach punctuation and I would swear I wasn't speaking English. I would teach it over and over and my kiddos just didn't follow through in their writing. 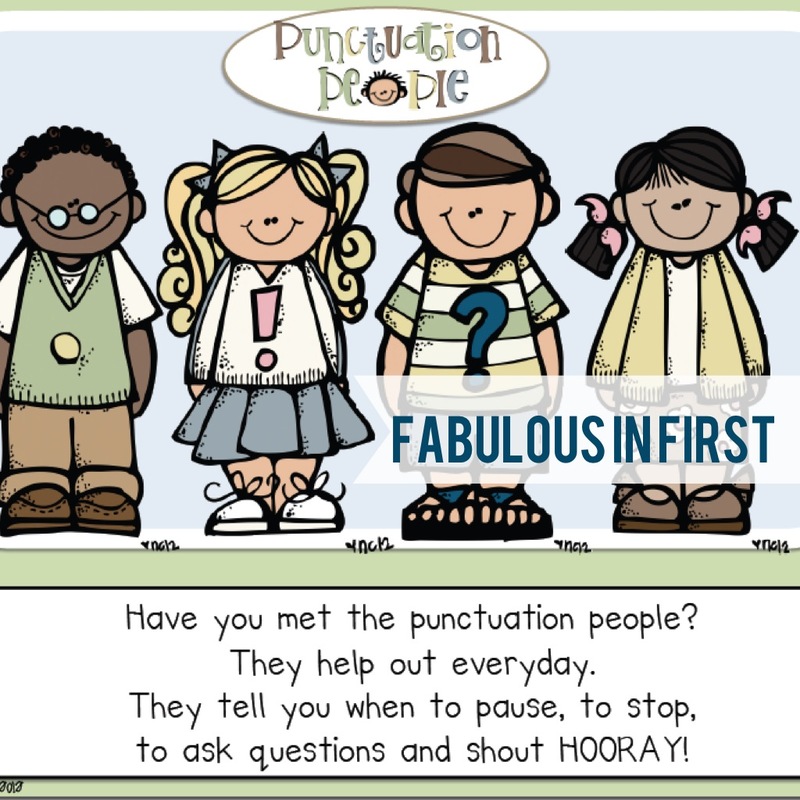 Now my kiddos can't get enough and know exactly which punctuation person needs to their job. My students are actually excited over punctuation. Below are my friends who are also running this sale. I see we both made s'mores with our boys! YUM. Thanks for hosting this fun linky - I love clicking around to see what everyone has been up to. THanks for hosting. I've never tried the slick stix. I'm off to check them out. I LOVE your punctuation packet. Bought it last year and it was fabulous. 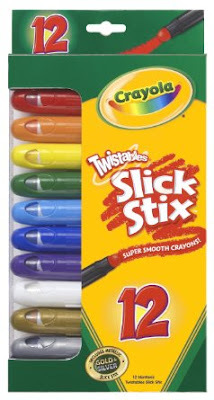 I can't wait to try the Crayola Slick Stix! Thanks for sharing! I love this chalkboard first day in school print out! Thanks for posting it! This is a fun little party! 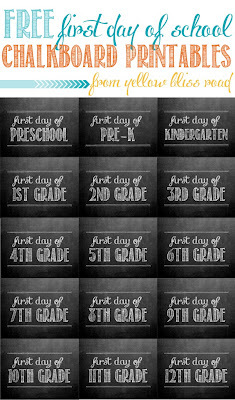 I just download the "First Day in First Grade" sign! Thank you so much! 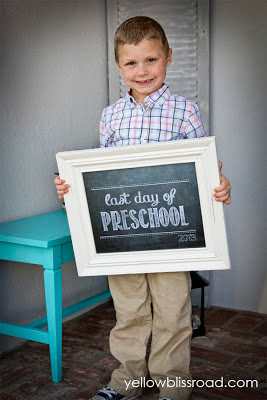 It's adorable and I can't wait to do the pictures with my firsties this year! 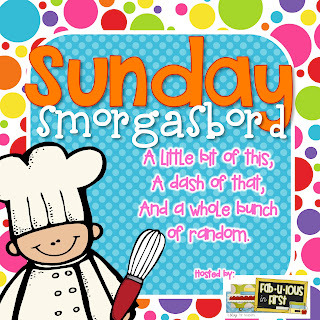 I am a new follower and fan of the Sunday Smorgasboard. Thanks for hosting this cook linky party! I have never seen those markers before! I'm going to go find them though! Thanks for sharing! Those crayons look so fun! Those chalkboard printables are just too cute & I'm definitely going to have to check out those slick sticks, thanks for sharing those 2 gems. I'll be linking up soon. Thanks for hosting. Thanks so much for hosting! This linky is fabulous! I have to check out those crayons! I am writing "CRAYONS for ANCHOR CHARTS" on my store list for tomorrow! Those look awesome! 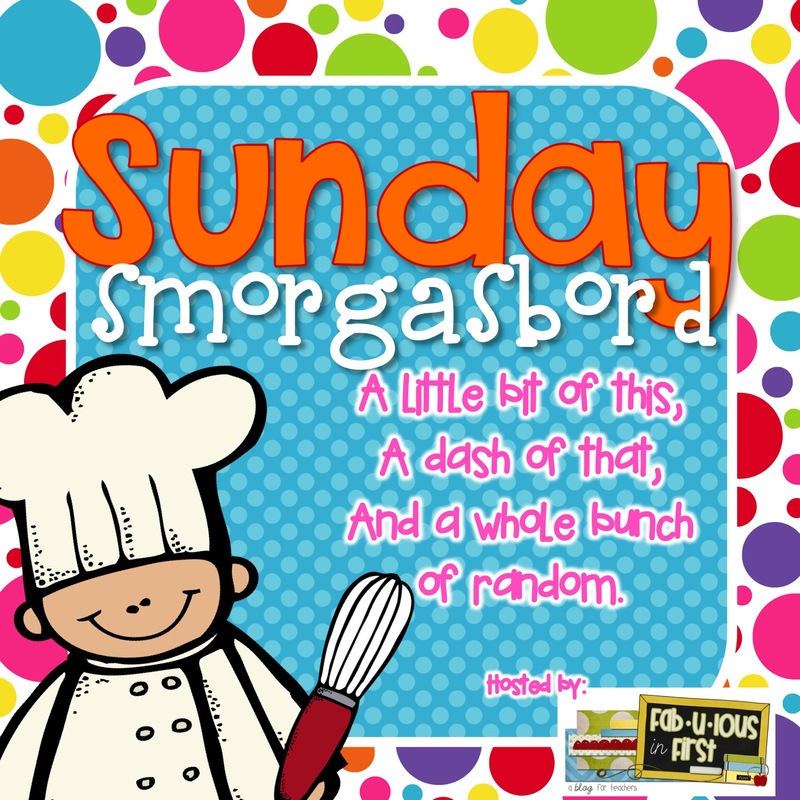 This is my first time on the Sunday Smorgasbord so that means ICE CREAM! I second the magic of Crayola twistables! "Lipstick" is exactly the way I describe them to people. Warning: they make a bit of a mess compared to regular crayons. But they show up brilliantly and the way they glide is irreplaceable for my kiddo with limited motor control. What a great idea for a linky! So fun! I just put up my post!